2006 HDL 97,LDL 113,Trig 39,LDL/HDL Ratio 1.2, Total 218. When measurements of serum cholesterol (cholesterol levels in the blood) were first done, only the total of both HDL (“good cholesterol”) and LDL (“bad cholesterol”) were read (Note that even the concept of “bad” LDL cholesterol is being challenged today since also need this form of cholesterol to survive!). Now that testing has become more sophisticated, researchers look more at the balance of these two types of cholesterol. They note whether a substance raises cholesterol levels of HDL or LDL levels. In some cases, certain foods lower total cholesterol, but only by lowering HDL cholesterol while at the same time actually raising levels of the LDL cholesterol. Studies now show that coconut oil actually increases HDL cholesterol, while lowering LDL. So total cholesterol levels may actually increase, but in a very favorable ratio. Coconut oil (and all saturated fats) has been blamed for many years as a cause of increased cholesterol levels, which supposedly leads to heart disease. 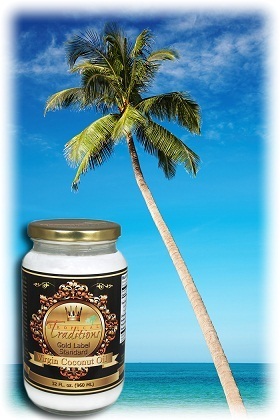 But studies done on traditional tropical populations that consume large amounts of coconut oil show just the opposite. One of the best ways to study the affects of coconut oil on human nutrition is to look at tropical populations that get most of their caloric intake from the saturated fat of coconut oil. Logic would dictate that if the saturated fat/cholesterol theory of heart disease and obesity were correct, those populations with the highest consumption of saturated fats would be the most overweight and have the highest rates of heart disease. Such is not the case. In 2011 Dr. Janaki Gooneratne, the head of Food Technology at the Industrial Technology Institute in Sri Lanka, carried out an extensive research project to establish whether there was a relationship in the consumption of coconut oil with cholesterol, in the Gampaha District of Sri Lanka – an area known as the “Coconut Triangle” due to large coconut consumption. Dr. Goonerante believes that her extensive research is the first study of this magnitude on coconut oil ever conducted anywhere in the world. 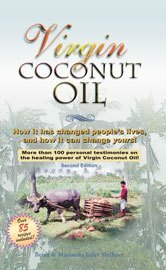 Since coconut oil is a product that cannot be patented, it is very unlikely that such studies like this will ever be funded in western nations, and it is now up to the coconut oil producing countries to carry out this research and vindicate coconut oil from the attacks against it over the past several decades in the western nations like the U.S.
Do Saturated Fats Clog Arteries? Saturated fats are probably the most maligned fats in the popular media today. They are often blamed for “clogging arteries” and leading to heart disease. However, an examination of the research and science behind saturated fats leads one to a vastly different conclusion, suggesting that the attacks against saturated fats have been primarily political and economical, and not scientific. While we will provide a brief summary of the science behind saturated fats here, we encourage you to examine the research more closely yourself. First of all, saturated fats are essential to our health. They comprise about 50% of our cell membranes, and some proportion of saturated fats are found in all fats and oils, whether plant based or animal based. Does research support the claim that saturated fats like coconut oil raise cholesterol levels and clog arteries? This “lipid theory” of heart disease, which blames high cholesterol levels as causing heart disease, is seriously being questioned by researchers and doctors. Malcom Kendrick M.D., Dr. Mary Enig Ph.D., Uffe Ravnskov M.D., Ph.D (author of The Cholesterol Myths), George Mann M.D., Sc.D, and many other top researchers have written extensively on the flaws of the “cholesterol theory” of heart disease. A recent study done in India comparing refined coconut oil (CO) with Virgin Coconut Oil (VCNO) found that VCNO obtained by wet process has a beneficial effect in lowering lipid components compared to CO. It reduced total cholesterol, triglycerides, phospholipids, LDL, and VLDL cholesterol levels and increased HDL cholesterol in serum and tissues. The results demonstrated the potential beneficiary effect of virgin coconut oil in lowering lipid levels in serum and tissues and LDL oxidation by physiological oxidants. This property of VCNO may be attributed to the biologically active polyphenol components present in the oil. 1. Prior IA, Davidson F, et. al. “Cholesterol, coconuts, and diet on Polynesian atolls: a natural experiment: the Pukapuka and Tokelau island studies.” American Journal of Clinical Nutrition. 1981 Aug;34(8):1552-61. 2. Sircar S, Kansra U. “Choice of cooking oils–myths and realities.” Journal Indian Medical Association. 1998 Oct;96(10):304-7. 6. Felton CV, Crook D, Davies MJ, Oliver MF. Wynn Institute for Metabolic Research, London, UK. “Dietary polyunsaturated fatty acids and composition of human aortic plaques.” .Lancet. Oct,1994; 29;344(8931):1195-6.